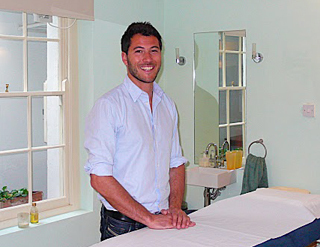 I am an Osteopath, and I've noticed that many people only think about visiting an Osteopath when they have a bad back. But osteopathy is not only for emergencies. It can be used to remedy many more symptoms, and is also very effective for the prevention of problems and the maintenance of good health. What makes osteopathy so effective is that the treatment is not focused on the symptom, but on the cause of the symptom. Because the function of the body is governed by its structure, small biomechanical restrictions can be responsible for tensions which result in pain or discomfort. Through a mix of gentle massages, stretches, articulations and manipulations, I can help bring your body back into balance - offering relief by removing the cause of the discomfort. We have a new Practice!